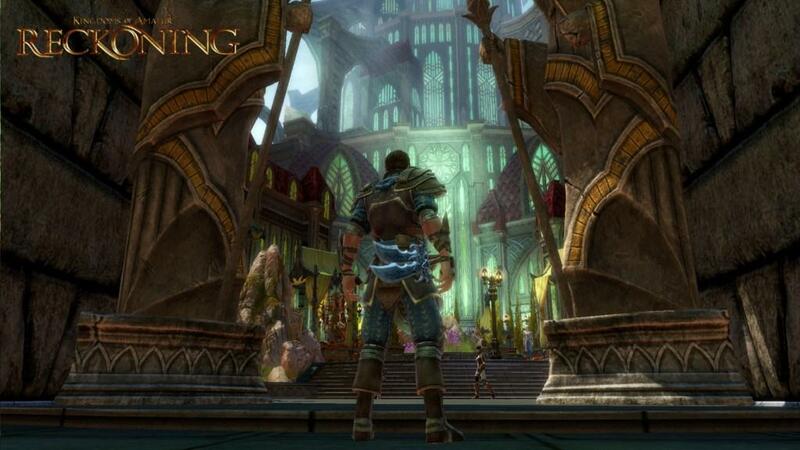 It is pretty hard to ignore the sky-high expectations 38 Studios freshman game Kingdoms of Amalur: Reckoning (KOA). The company has gathered a ton of big names from the media universe to craft an original RPG for one of the most competitive genres in the gaming industry. Traditionally, you are either one of the big named RPG titles (Mass Effect, Final Fantasy, Fallout, and Elder Scrolls) or you are nobody. When you bring together the likes of game designer Ken Rolston, artist Todd McFarlane, and author R.A. Salvatore from their individual areas of specialty, you can’t help but expect anything short of success. We have been hearing about the game for years and the time is finally here for us to find out if an unproven studio owned and fueled by a former MLB pitcher (Curt Schilling) can craft a game that lives up to its hype. 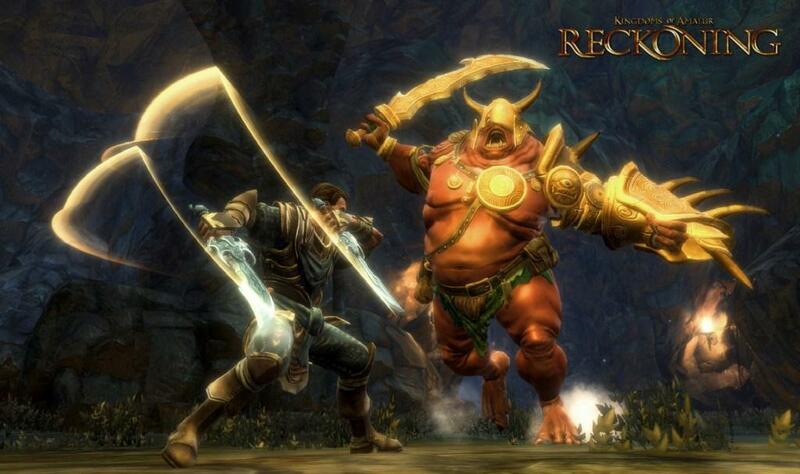 Welcome to the world of Amalur! R.A. Salvatore has crafted and original and engulfing tale that is as deep as it is interesting. You exist in an area of the world known as the Faelands, or at least you used to. You died in the heat of battle only to be resurrected by a controversial project known as the Well of Souls. It is thought that the souls of the dead can be captured as they leave the Earthly world and be redirected back into a living body, but it has never been done before; that is until now. You are the first to actually make the transition from the Well back to a living body and the world is quick to take notice. The idea of the Well of Souls isn’t exactly a popular idea as many within the world oppose the idea; the Faelands are driven by a belief system that focuses on destiny and predetermined fate(s). It is believed that all living beings have a predetermined fate from the moment that they are conceived; they have roles and purposes in the world and there is no other option but to live up to those roles and serve your purpose in life. All of these roles and fates are connected and they build upon one another; they all work together to weave the world as we know it. The catch is that you have lived your life and served your purpose, and then you died. Now that you are back, there isn’t a fate in books for you; you are a wild card in this fate-driven world. The rules of destiny don’t apply to you because technically speaking, you shouldn’t even be here. But you are here, and the world is taking notice. Seeing as how the threads of fate aren’t bound to you, you are free to do as you wish. The only destiny that lies ahead of you is the one that you will carve out for yourself. This is where the role of freedom comes into the game; you can rewrite the destinies of all who live in the world and that scares the crap out of nearly everyone that you come in contact with. The only question that remains is whether or not you will use your newfound status for the greater good. I don’t want to spoil any of the specific plot details but that is the concept that really drives the game. 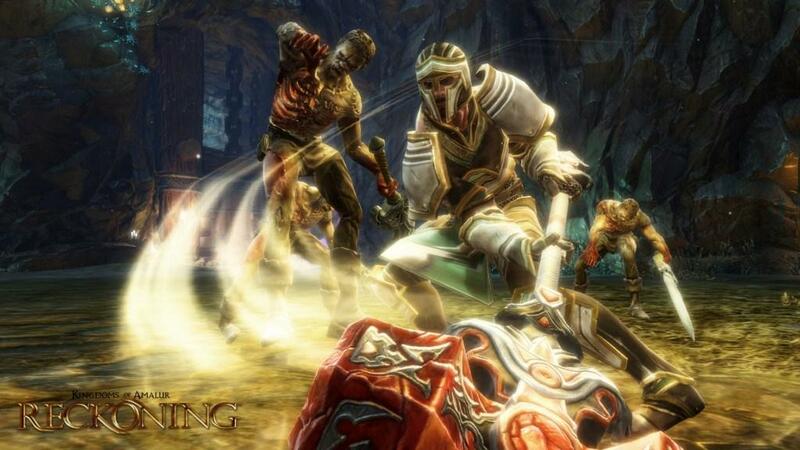 Amalur plays out as sort of a combination of Fable, an installment of the Elder Scrolls series, and any entry in the hack and slash genre of games. 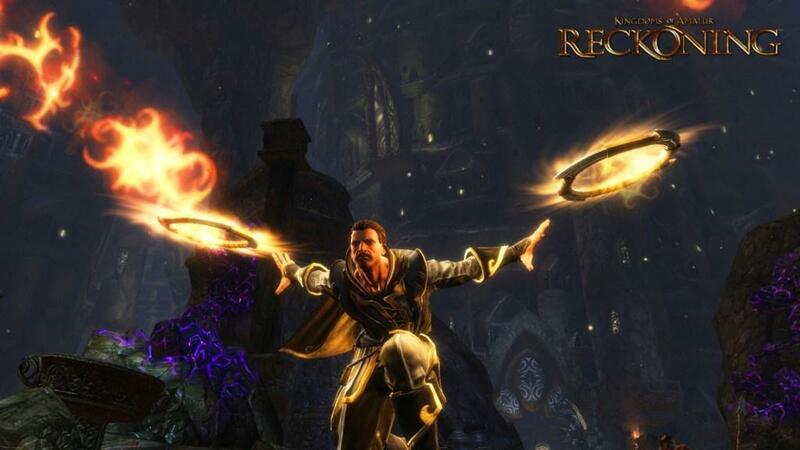 There is a ton to do here; that much is expected in a modern day RPG but it is the manner in which you get to do it that sets Amalur apart from nearly every other RPG on the market. 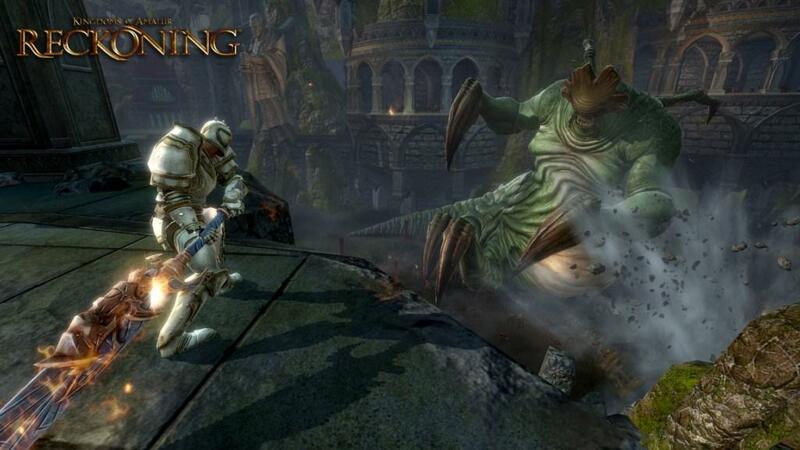 The gameplay in Kingdoms of Amalur is leaps and bounds above every other RPG on the market. You have complete control of your character both in and out of battle and the means of doing so are incredibly easy. From a traditional RPG perspective, KOA has everything you would expect from deep character customization and the ability to fine-tune the traits of your character(s) to a deep and lengthy questing system. While the main game has a solid primary quest that will keep you occupied for well over 20 hours. 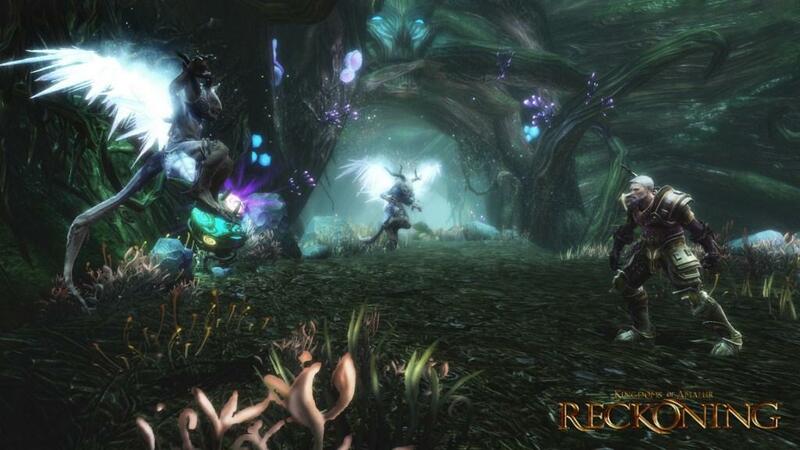 Tthe additional side quests and ancillary adventures will extend that immensely. I could easily see gamers sinking 80-100 hours into the game, if not more. Everywhere you turn, there is something new to do in addition to your main quest. The game does an excellent job of tracking and organizing all of the quests that you take on, both primary and side. There is no limit to the number of quests that you can accept and they all show up on your map(s) in order to ensure that you know where the important locations are that apply to them. Within the game’s quest log, you have the ability to make any active quest your primary goal, which will cause its markers on your map(s) to flash. The lets you know which of the important locations on your map is your priority. At the same time, while checking off a primary marker, it is very easy to identify any other markers that might be near your location which you can drop by and check out. This entire system makes the robust quest options simple and manageable, which keeps the focus where it should be: on the incredible gameplay. The character customization and class system of the game is a joy to experience and truly enhances the experience. As I mentioned earlier, you control your own fate. As you gain levels throughout the game, you will be given points which you can spend on different trees that will enhance your abilities; how you decide to attribute those traits will then lead to more decisions being made with “fates”, or destinies, which will eventually open up to you for you to pursue at your leisure. 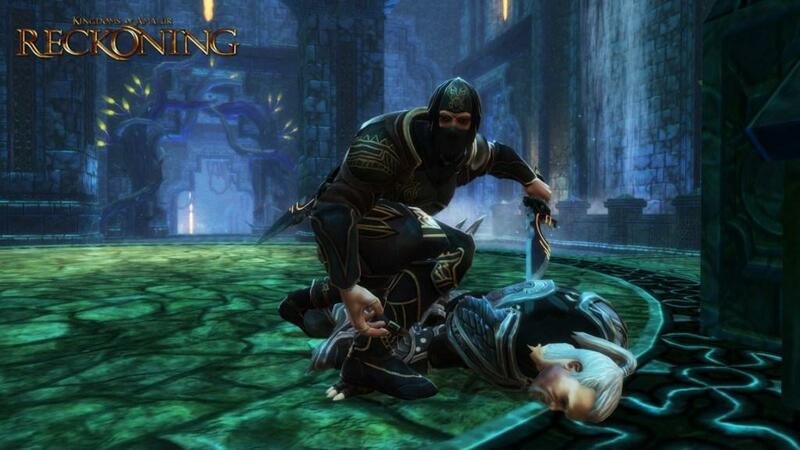 The first point that you are awarded will be used to level up a variety of skills for your character(s). 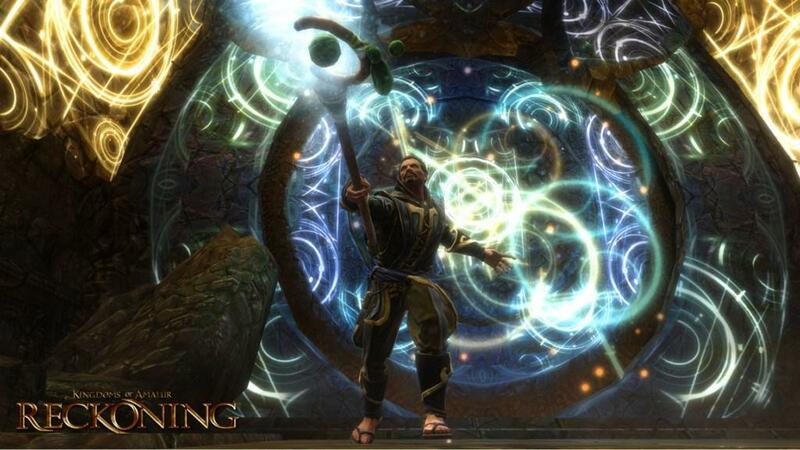 These range from tasks such as blacksmithing, sage crafting, lock picking, persuasion and communication skills, to efficiency in magic and other arts. It will be important for you to focus on trades that will assist your style of gameplay. There is a ton to do within each of these skill sets that can eat up a ton of game-hours on their own. 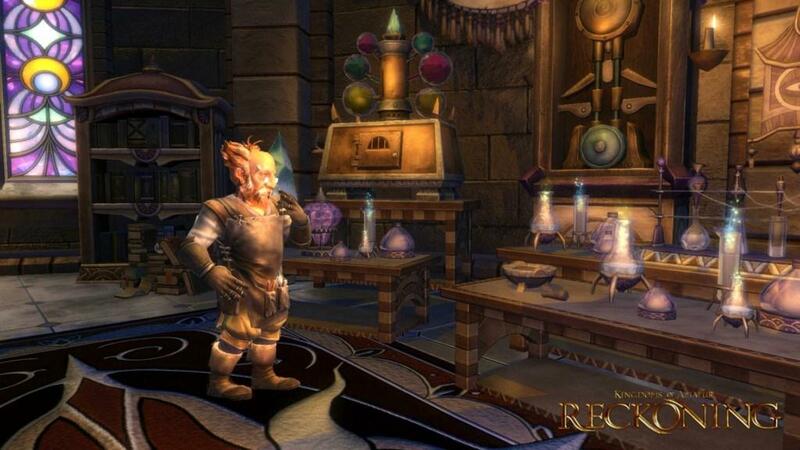 I have spent countless hours simply searching the lands for various “reagents” which I use to craft potions and formulas using my character’s sage crafting ability. It almost becomes a meta-game in itself to master the different crafts and abilities and discover all of the different options that you can do within them. Blacksmithing is equally as impressive and time consuming especially since you even have the ability to scrap parts from damaged or weak equipment in order to build bigger and better creations. It is no longer a complete loss to fill you inventory with a weak buckler shield that you will never use in battle is you may want to take them all back to your home and break them down to add to your component piles. This is the sort of freedom that you have which makes KOA such an enjoyable game. After you assign your skill points, you then are given a couple of points to dispense through a tree of abilities which focus on weapons and magic. These decisions drive your combat options in the game. There are three main categories in this area: might, sorcery, and finesse. You are free to attribute points into any of the categories at any time, which helps to mold truly unique characters. There are different weapon and armor classes available to each category and you will gain access to different ones as you progress. Perhaps you want a powerful sorcerer-type character who just so happens to be handy with a longsword; you can do that or maybe a lumbering tank who just happens to be as skillful with a dagger and sneaking up on enemies as he is mowing down an entire army. Your destiny is yours to create, literally. The final category that you will focus on is the fate / destiny options. There are a variety of options within this area that open up as you allot points to your characters skills and abilities. You aren’t required to follow a certain fate, especially considering that storyline-wise you don’t have one, but you can and you will be rewarded for doing so. These will reward you with things like additional mana and endurance for sorcery styles or perhaps better strength and power for more weapon based players. It really gives you an opportunity to reward yourself for focusing on a particular gameplay style. The best part about all of this is the fact that none of your decisions are permanent. The game gives you the ability to wipe the slate clean at any time and re-attribute your earned skill points and levels, for a nominal fee of course. All that you have to do is visit a special type of NPC called a fateweaver and they can help you completely realign your stats and abilities. Perhaps you are tired of being a sword-wielding tank, then wipe you path clean and redirect things towards being an all-powerful wizard. The choice is always yours. All of these concepts have applied to the game from a traditional-RPG standpoint; it is the actual battling and fighting of the game that sets it apart. The game is at its best when you are throwing down with your enemies and that just so happens to be about 80%of the time. 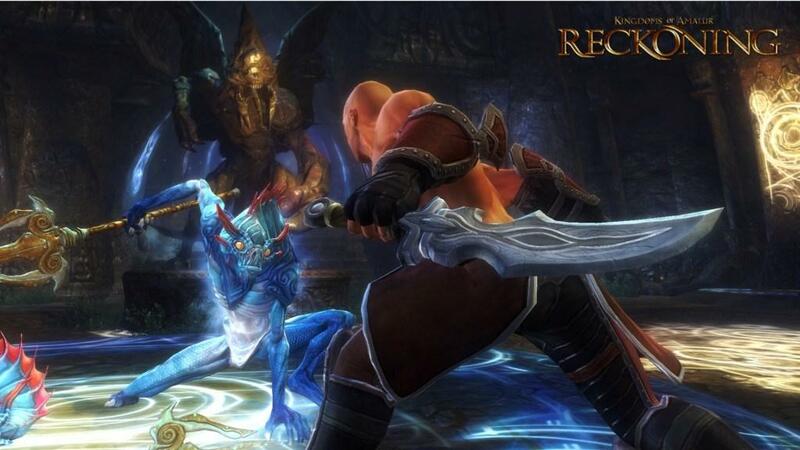 KOA plays out like a classic hack and slash fighting, akin to something like Golden Axe, but with plenty of more depth. 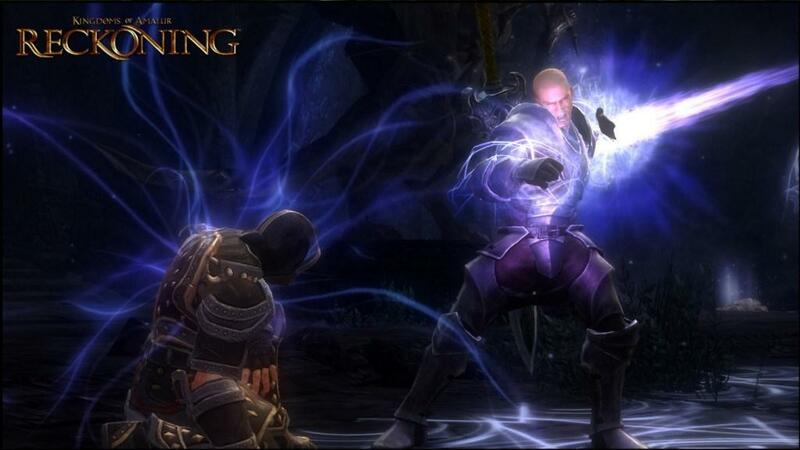 You have total control over your character in the heat of battle, from blocking to striking and spell casting. It controls and plays like a charm and I cannot imagine playing an RPG any other way. 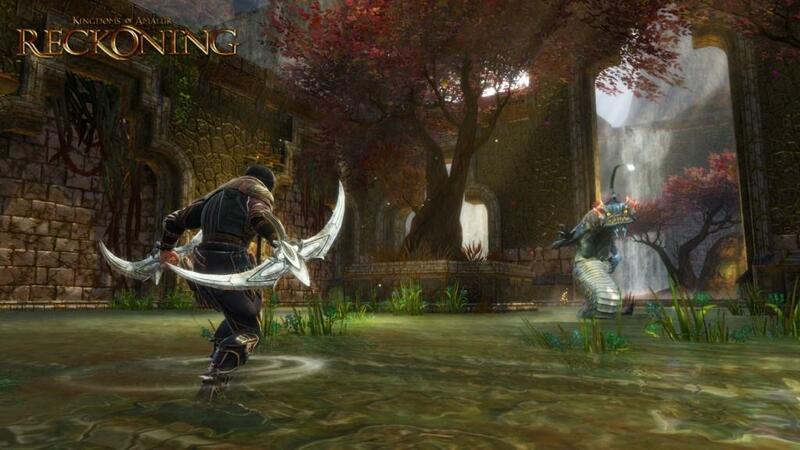 Although the game has all of the traits of an insanely deep RPG-experience, KOA is an action game at its core. You can have up to two different weapons equipped at any time, which gives you the ability to vary your fighting styles and offensive maneuvers. Each weapon class in the game has their own tree of maneuvers and skills which are unlocked over time, depending on which abilities you choose to level as you earn experience. Because of this, battle is never a chore in the game but rather a riveting and enjoyable experience. KOA knows this and does its best to keep you in the action nearly all of the time. As deep as the game is, it keeps things moving at a very hectic pace; your weapons will never be sheathed for too long as battle is always at the forefront of the experience. 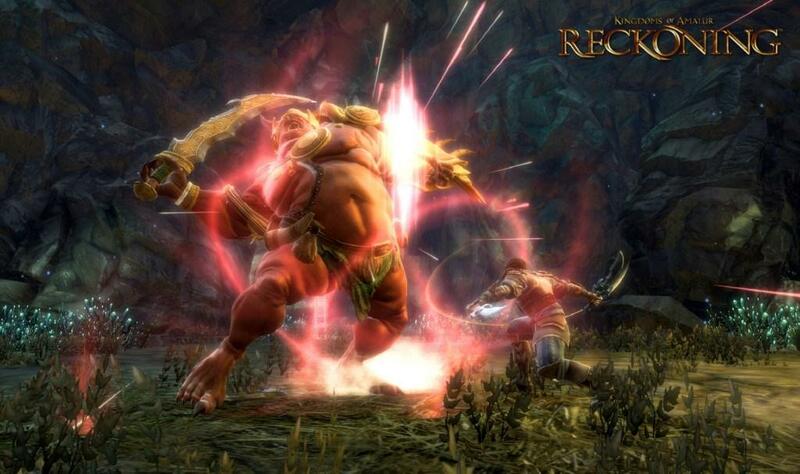 It is fun, exhilarating, and best of all rewarding, which is exactly what ever good action-RPG should be. It is a good thing that the game keeps you involved too as the world is pretty large and you will be covering a lot of ground on your adventure. The Faelands is an expansive area which is both beautiful and diverse. There are a ton of places to discover and the various quests will have you jet-setting from one part of the game world to the other, constantly. Thankfully, there is a fast-travel system featured in the game which will allow you to immediately transport to any area that you have already visited on the map. This sounds convenient, and it is, but you honestly won’t be using it as much as you would imagine. That is because it is such a joy to make the trek on your own from one location to another; there are always new and exciting battles to discover along the way plus there are sure to be additional quests popping up around every corner. Sometimes I find myself simply wondering around the Faelands for hours, just exploring. KOA is so good fundamentally and gameplay wise that it completely makes up for its technical shortcomings. The game isn’t bad visually, but it definitely has its issues. The world and its characters are all varied and interesting, but they have a lot of problems technically with things like pop up and a horrible draw distance. Seriously, there are times when the game looks like a first-generation Xbox 360 game, and perhaps even worse. The rest of the game is so well done though that none of that will matter; the gameplay truly compensates for all of the visual shortcomings and then some. On the other hand, audibly the game is a joy to experience. The voice acting in the game is absolutely impeccable; you will experience a variety of dialects and personalities, all of which are wonderfully portrayed by a stellar voice acting cast. I have to be perfectly honest, I was very skeptical going into this game about how well it was going to turn out. There was so much promised with this game that many, including myself, were concerned as to whether 38 could deliver. Well, they have, and in a major way. 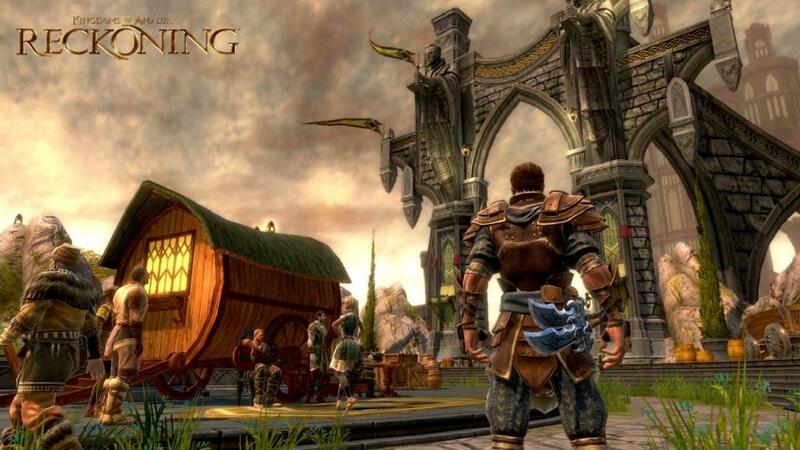 Kingdoms of Amalur is everything that RPG fans could have hoped for and so much more; everything you want from a good RPG is here. There is deep character customization, completed freedom of choice, as well as an unprecedented focus on actual gameplay and total control of your character. This doesn’t feel like an RPG, but it is and its one of the better ones. This isn’t just for RPG fans either; the game is so focused on action that it could easily draw in fans of that genre as well, as it did with me. If you are looking for a game that will keep your occupied and entertained for hours on end, this is definitely it. 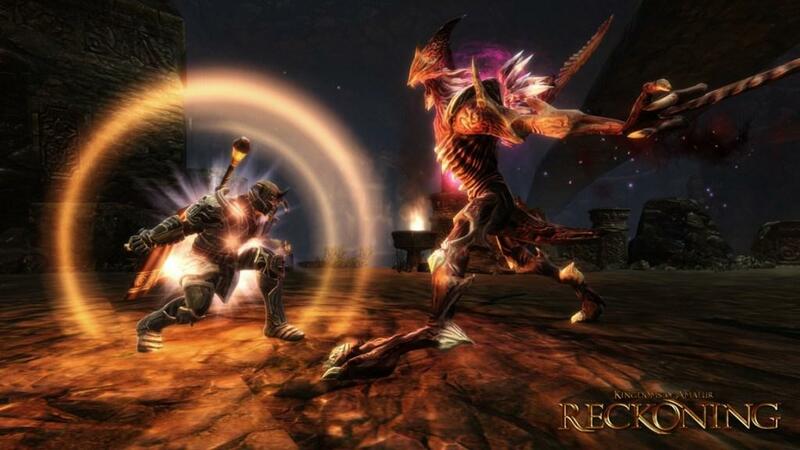 Kingdoms of Amalur: Reckoning is a hell of a way to start 2012. Deep, polished gameplay wrapped around an interesting and engulfing universe with all of the bells and whistles RPG and action game lovers crave spread across enough content to keep you busy for months. And that is just for your first play through; this universe will call you back again and again.